Born in Hokkaido, Japan in 1980. Graduated from Tama Art University in 2003. Majored in Painting and lithograph. Since childhood, drawing cartoons and watercolors was part of her life. At the University,She studied print technique, and continue pursuing the technique and original view of the world. 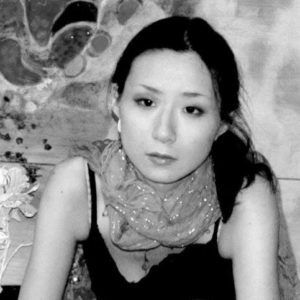 In 2004, she started to create paintings that use colors,materials,techniques from her skills of lithgraph as a member of “Atelier Yashio”in Saitama. Moved the atelier to Yokohama in 2008. Now,She is working on painting (mixed media)as an artist based on theme, “Metropolis and Human behaviour”.